Transitions are the key to improving your horse’s engagement and balance, his obedience to your aids, his suppleness, and ultimately his collection; that’s why including transitions in your everyday training routine is so important. 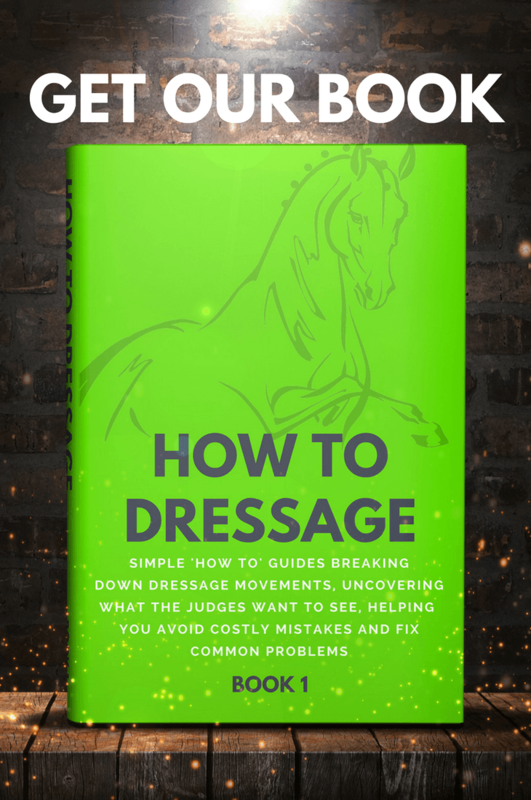 Transitions also form an important element of all dressage tests, from grassroots through to advanced levels, because they are a great way of allowing judges to assess the horse’s way of going according to the Scales of Training. One of the most challenging transitions to ride well is that from trot directly into halt. 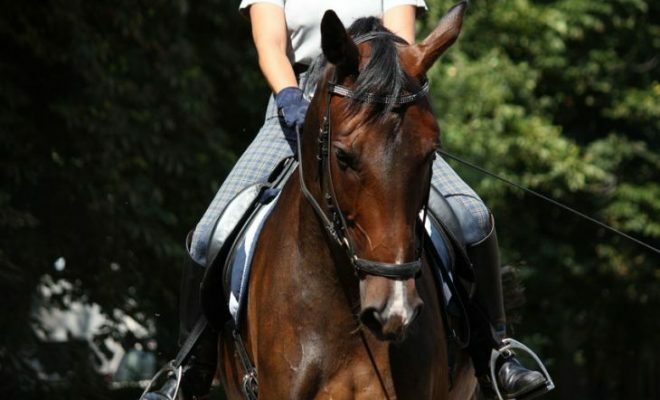 So, what’s the judge looking for in a good trot-halt transition and how do you ride one? The directness required of the transition will depend on the level of the test. For instance, at beginner levels, the horse is permitted to take a step or two of walk before halting to make it easier for him to keep his balance and therefore maintain the fluency. For more advanced tests, the judge would expect to see a direct transition without the need for any walk steps preceding it. There are a number of common faults that occur during the execution of trot-halt transitions. When teaching your horse to come directly from trot to halt, it’s helpful to allow a couple of steps of walk. This helps to preserve the rhythm and balance, especially in young or inexperienced horses that are in the early stages of their education. Give your horse due warning that you are about to ask him to make a transition by giving a few light half-halts. 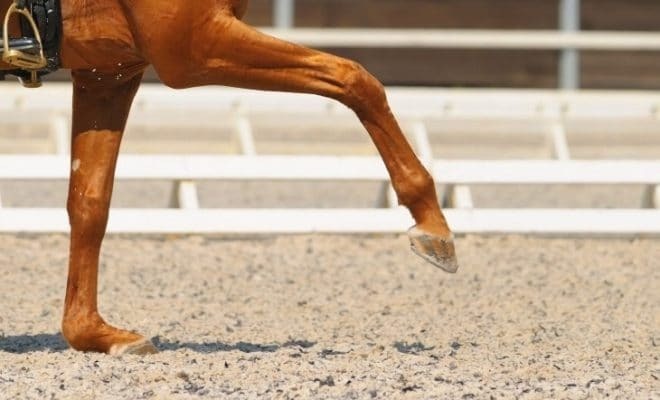 Make sure that the trot is a lively one with plenty of energy from the horse’s hindquarters; this helps to encourage the hind legs to step under the horse during the transition and will help him to keep his balance and halt square. A few steps prior to the transition, take up sitting trot making sure that your weight is distributed evenly over both seat bones. 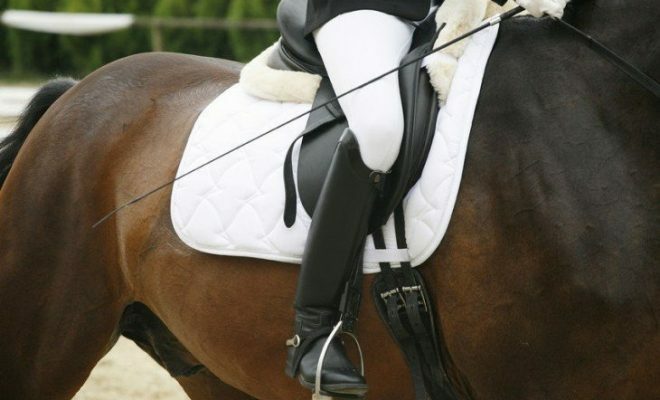 Stop following the horse’s movement with your pelvis and close your legs at the girth. Apply a ‘keeping’ rein aid to a forward hand; i.e. close the rein to prevent the horse from moving forward, but don’t bring your hands back toward you. As soon as he responds, allow with the hand again so that the halt is not too abrupt and to enable the horse to step under his body with his hind legs. As the horse comes into halt, breathe out deeply so that your whole body relaxes. This will help the horse to stay relaxed too. Throughout the exercise, sit up tall and straight, breathe deeply, and look ahead of you. If you find yourself looking down, you’ll be more likely to tip forwards and put your horse onto his forehand. 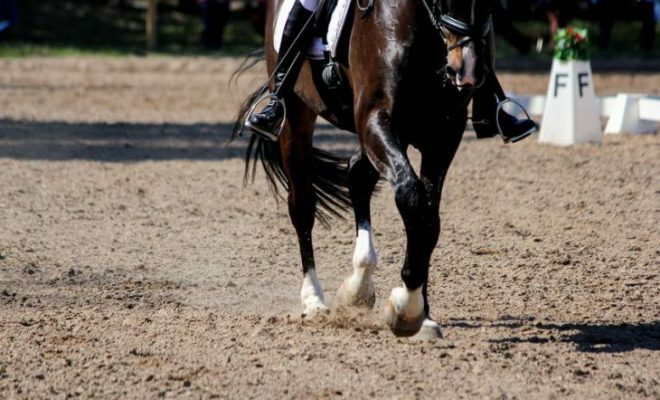 The key to riding good trot-halt transitions is in the preparation and in not expecting too much too soon, especially with green or inexperienced horses. Concentrate on your own position, keep your leg on, don’t use too much hand, and try to stay as relaxed as possible. 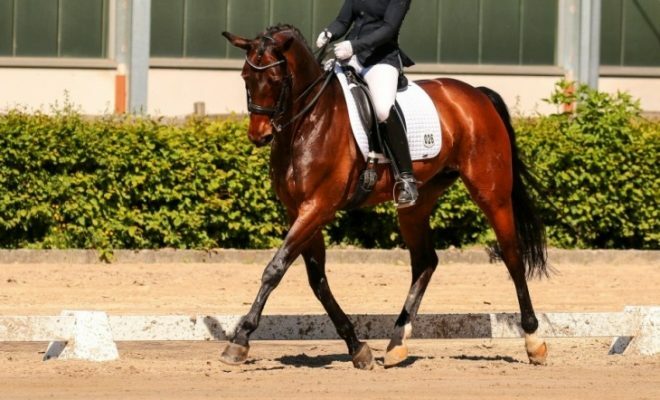 Riding good transitions is a great way of helping your horse to progress along the Scales of Training and will gain you many marks in dressage tests.